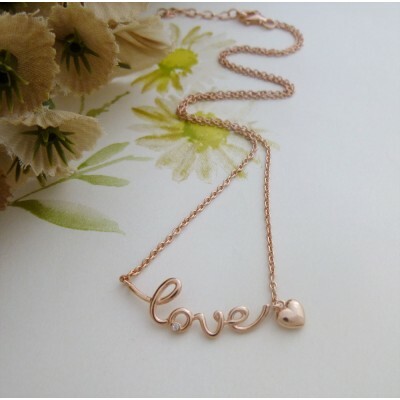 Rose gold 'Love' necklace is a pretty rose gold plated sterling silver necklace with beautiful detailing. 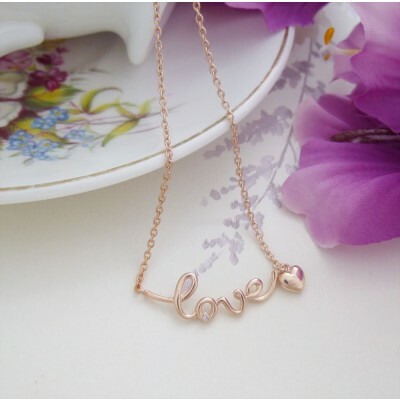 With the word 'Love' fashioned in a beautiful font finished with a dainty rose gold plated puff heart, there is also a sweat round cubic zirconia stone set in the letter'O' for the extra sparkle. 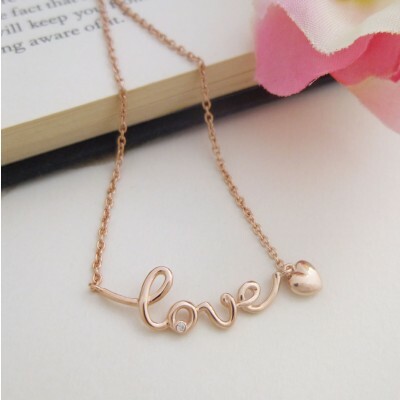 The fine rose gold plated sterling silver chain measures 41cm in length with a 3cm extender giving a maximum length of 44cm. 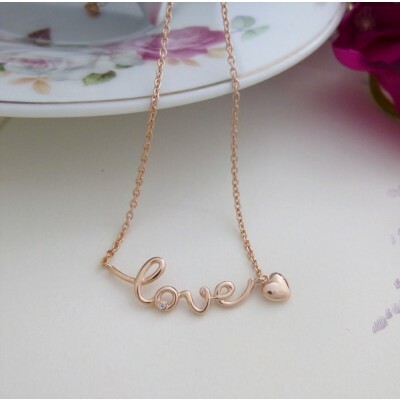 This necklace is designed so that the word love sits flat on your neck allowing everyone to admire the necklace and making it a perfect present. Made out of 925 sterling silver that has been plated in rose gold. 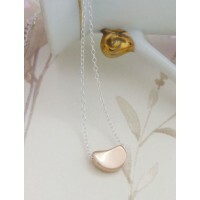 It features a rose gold puff heart and a CZ stone.